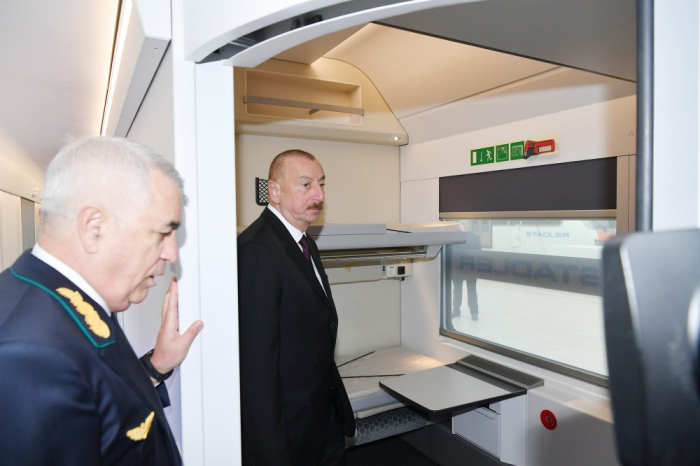 President of the Republic of Azerbaijan Ilham Aliyev has viewed a passenger train which will run on the Baku-Tbilisi-Kars railway route. 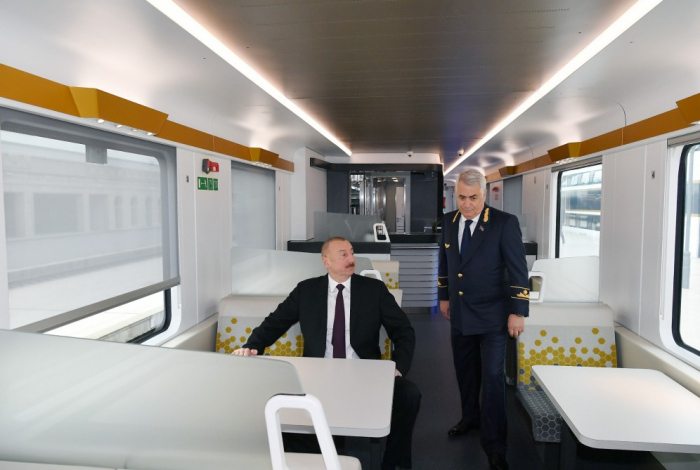 Chairman of Azerbaijan Railways Closed Joint-Stock Company (CJSC) Javid Gurbanov said that the passenger train consisting of 10 wagons produced by the Swiss company Stadler Rail Group on the order of Azerbaijan Railways CJSC arrived in Baku on March 29, passing through Turkey and Georgia. 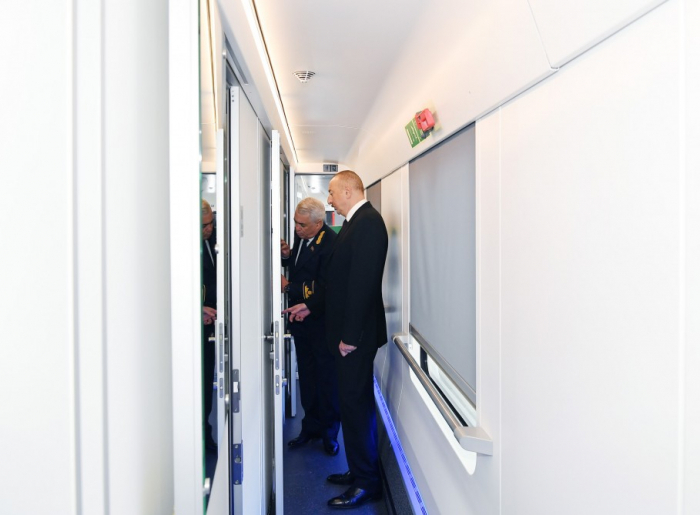 Earlier, the train was tested on a special device mounted in Akhalkalaki. 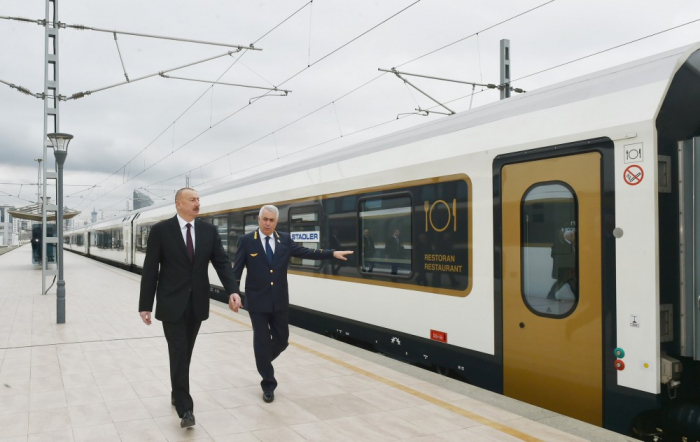 Regular passenger transportation by the Baku-Tbilisi-Kars railway is expected to begin in the third quarter of 2019. 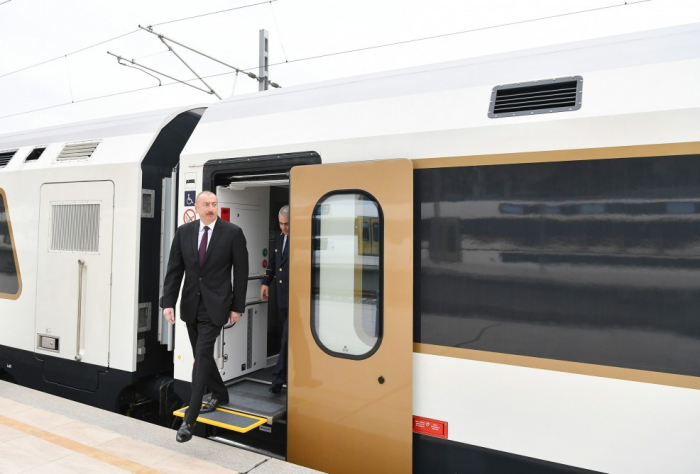 Under the agreement signed between the Azerbaijan Railways CJSC and the Swiss Stadler Rail Group, another 10 wagons are expected to be brought in the second stage. 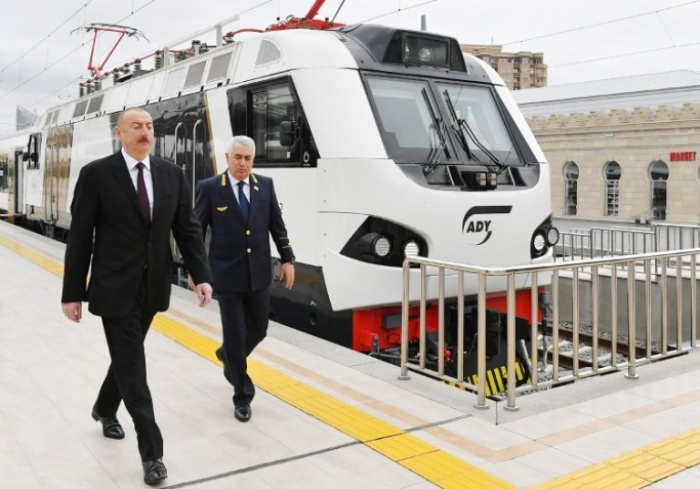 On October 30, 2017, a solemn ceremony on the occasion of the opening of the Baku-Tbilisi-Kars railway was held at the Baku International Sea Trade Port. 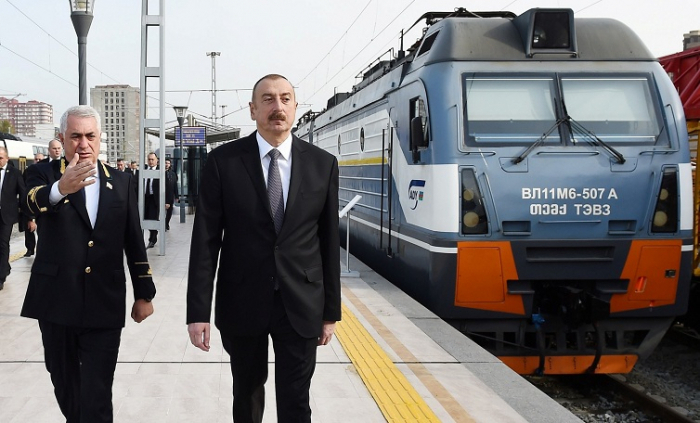 The BTK railway is built on the basis of the Azerbaijani-Georgian-Turkish intergovernmental agreement. 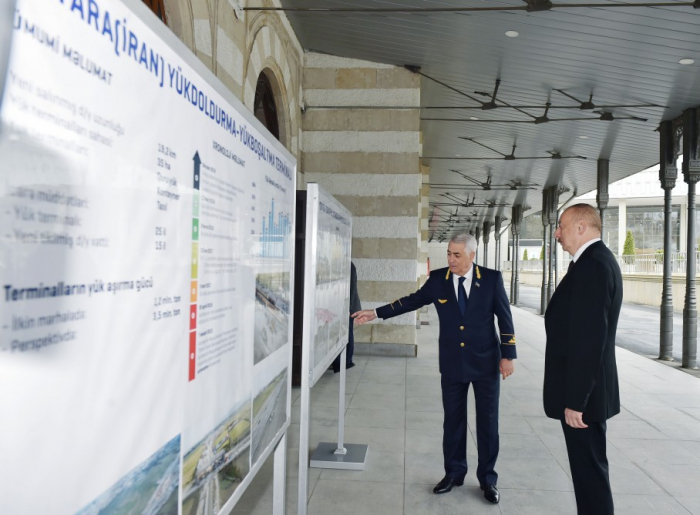 At the initial stage, the volume of freight traffic will be at the level of 6.5 million tons of cargo, as well as up to one million passengers will be transported through this railway. 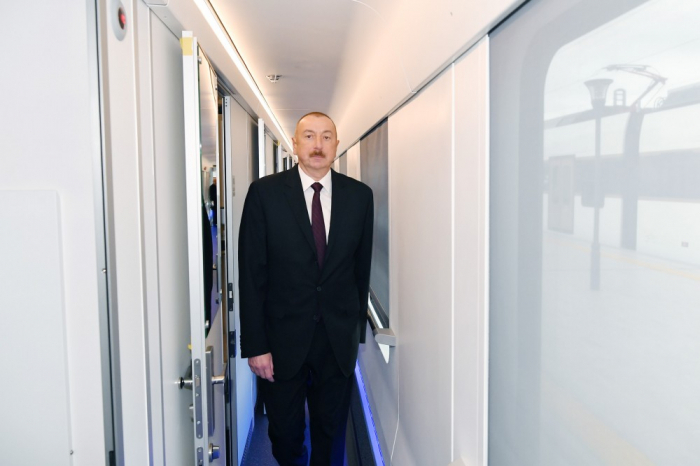 With the implementation of this strategic project, Azerbaijan has increased its importance not only in the region but also throughout Eurasia. 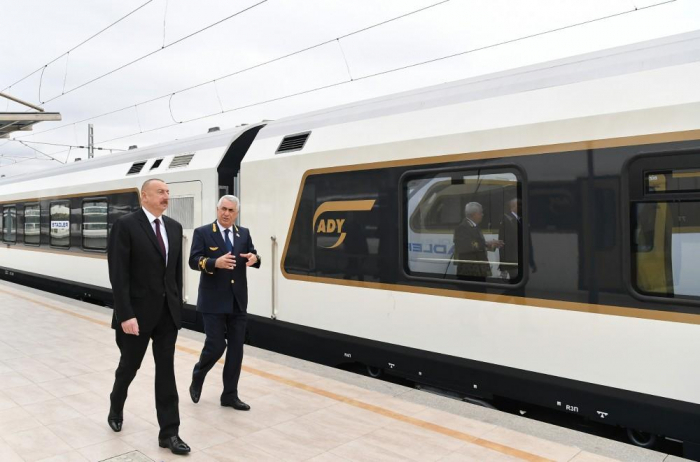 The launch of the Baku-Tbilisi-Kars railway has become a major strategic factor in strengthening Azerbaijan's state independence and enhancing its economic power.